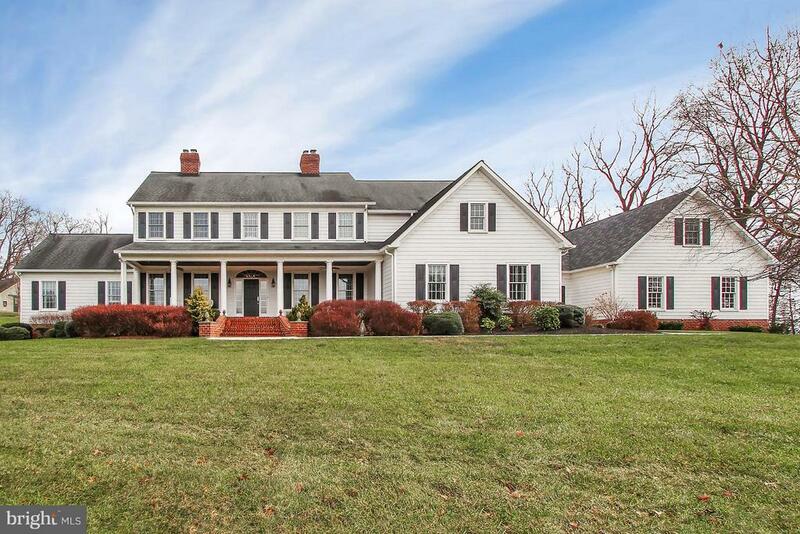 All Pylesville homes currently listed for sale in Pylesville as of 04/23/2019 are shown below. You can change the search criteria at any time by pressing the 'Change Search' button below. If you have any questions or you would like more information about any Pylesville homes for sale or other Pylesville real estate, please contact us and one of our knowledgeable Pylesville REALTORS® would be pleased to assist you. "#FarmhouseBeauty - Owning this spectacular Williamsburg inspired estate is more than just an experience~it is a lifestyle! Imagine gazing out to stunning panoramic country views as you peacefully rise in the morning. There is nothing like it! Perfectly situated on 8.37 sprawling acres, the natural ambience surrounding this custom colonial farmhouse is breathtaking. Live the life of serenity and take advantage of the rare opportunity to be the next owner of this tremendous residence. The beautifully manicured exterior and covered front porch lead to a grand foyer that will happily greet your guests time and time again. Enjoy 6BR/5BA and over 7,400 square feet of living space. Inside, the home has a true warm and welcoming sensation with exquisite attention to detail upon every turn. The quality of craftsmanship is simply outstanding with elegant archways, two staircases, window seating and decorative moldings. There are hardwood floors throughout most of the home and 10 foot ceilings on most of the main level. Curl up with a good book in the formal living room or relax in front one of the homes three wood burning fireplaces. The luxury infused kitchen is the true heart of the home and features a 12 foot island, pot filler, cooper farm sink and six burner convection oven. There are incredible details such as granite coun-ters/backsplash, recessed and pendant lighting along with beautiful custom cabinetry. The walk-in pantry is amazing - perfect for organization galore! Take your expertly prepared meals to the formal dining room to offer guess a gourmet experience. There is also a main level office that feels secluded and private. Enjoy the large sitting room/library at the back of the home with two entrances to brick patios. What a great place to gather with guests or host a fun night of board games. The bedrooms are all of generous sizes featuring two bedrooms on the main level and four bedrooms on the upper level. There are also two ultra convenient laundry rooms - "
"#FarmhouseBeauty - Owning this spectacular Williamsburg inspired estate is more than just an experience~.it is a lifestyle! Imagine gazing out to stunning panoramic country views as you peacefully rise in the morning. There is nothing like it! Perfectly situated on 8.37 sprawling acres, the natural ambiance surrounding this custom colonial farmhouse is breathtaking. Live the life of serenity and take advantage of the rare opportunity to be the next owner of this tremendous residence. The beautifully manicured exterior and covered front porch lead to a grand foyer that will happily greet your guests time and time again. 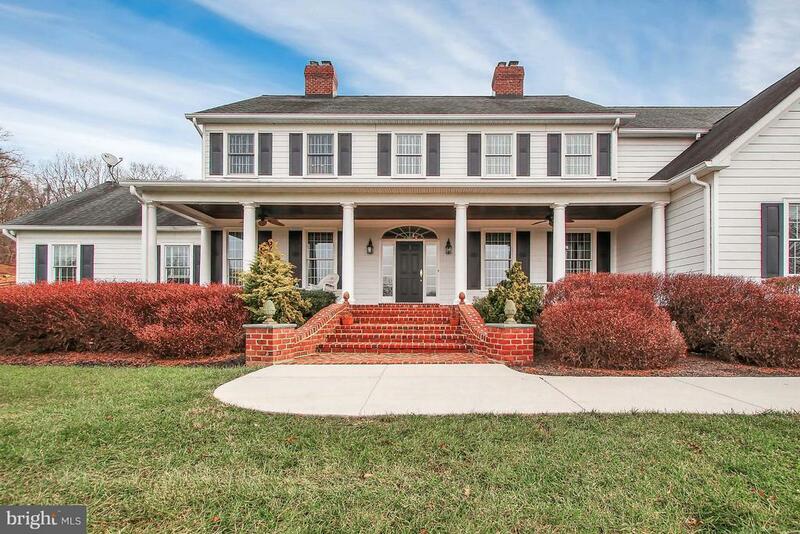 Enjoy 6BR/5BA and over 7,400 square feet of living space. Inside, the home has a true warm and welcoming sensation with exquisite attention to detail upon every turn. The quality of craftsmanship is simply outstanding with elegant archways, two staircases, window seating and decorative moldings. There are hardwood floors throughout most of the home and 10 foot ceilings on most of the main level. Curl up with a good book in the formal living room or relax in front one of the homes three wood burning fireplaces. The luxury infused kitchen is the true heart of the home and features a 12 foot island, pot filler, copper farm sink, steam oven, six burner convection oven. There are incredible details such as granite counters/backsplash, recessed and pendant lighting along with beautiful custom cabinetry. The walk-in pantry is amazing - perfect for organization galore! Take your expertly prepared meals to the formal dining room to offer guess a gourmet experience. There is also a main level office that feels secluded and private. Enjoy the large sitting room/library at the back of the home with two entrances to brick patios. What a great place to gather with guests or host a fun night of board games. The bedrooms are all of generous sizes featuring two bedrooms on the main level and four bedrooms on the upper level. There are also two ultra convenient laundr"
"This is YOUR dream home! If you're in to hosting summer bashes or holiday parties - you've found the one for you! Large kitchen with amazing rural views from the breakfast/sun room. Your gigantic dining table can rest in this area or in the VERY large gorgeous formal dining room. Having family and friends over forThanksgiving has never been so easy with all of the space for prepping the meal and entertaining during. The gleaming granite and beautiful floors will make you never want to leave! Exit from the breakfast room onto your large composite deck that overlooks one of the most beautiful views in all of Harford County and also glares out at the screened in gazebo, large cabana area, heated in-ground pool with fountains and overflow for built-in hot tub with custom lighting and more! 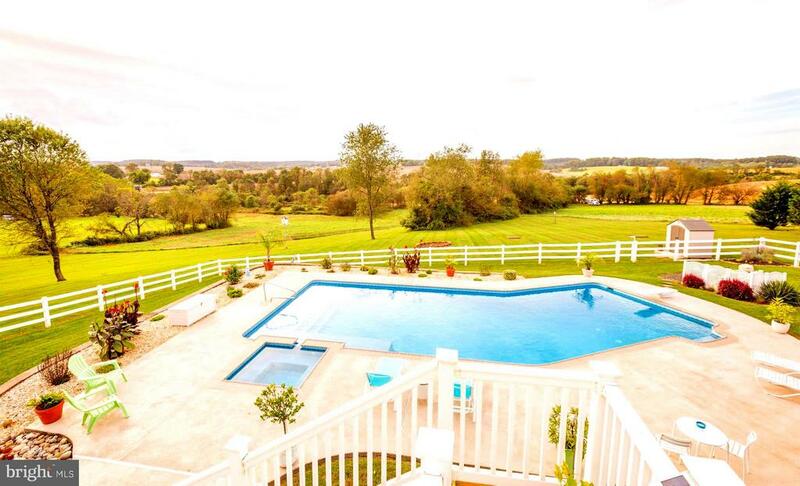 If that's not enough, hang by the horse shoe pits, coy pond or fire pit all included in the 2.83 acres. Underneath the composite deck is a custom built storage area for everything for the pool and lawn maintenance. With five total bedrooms, there's room for your growing family or out of town guests. The first floor bedroom is currently an over-sized office but can clearly be multi-functional. Between the gas fireplace, large driveway, 2 car garage, master bathroom garden tub, vaulted ceilings in master, two-story family room, dual zoned heating and A/C, dual electric panels, and whole house generator - WHAT MORE COULD YOU ASK FOR?!? 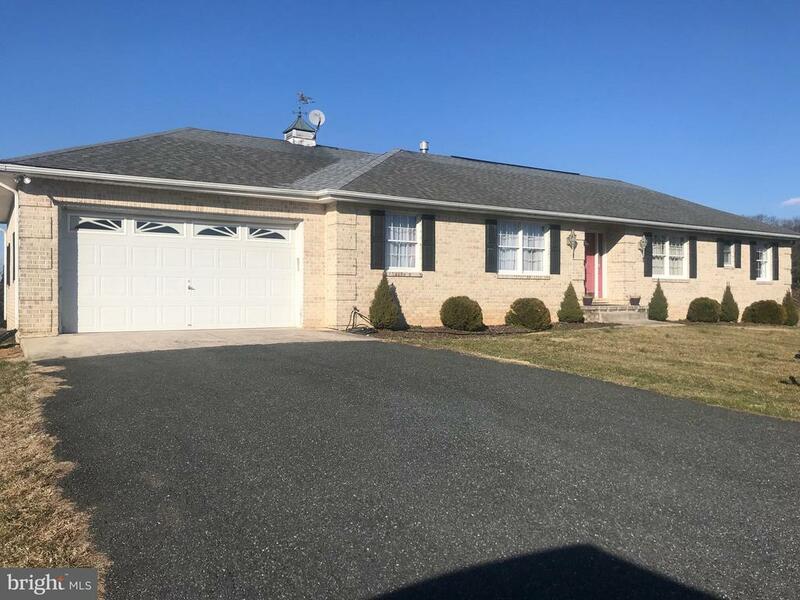 Don't think that this home is too far out there because it's just 12-15 minutes from Harford Community College and the Arena Club and it's not 20 minutes from Bel Air.Schedule a showing today for this MUST SEE home!" 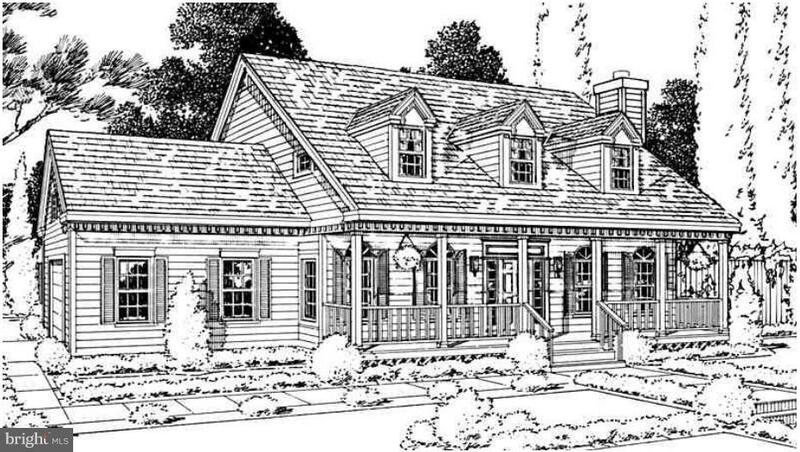 "Superb opportunity to build your own custom home With Sherman Builders on a beautiful, 10 acre wooded lot. Bring your own plans if you'd like. Granite counters, stainless appliances, full front porch, 9' ceilings on the main level, large great room, energy efficient 2x6 construction, 2 fireplaces, mudroom off garage and more!" 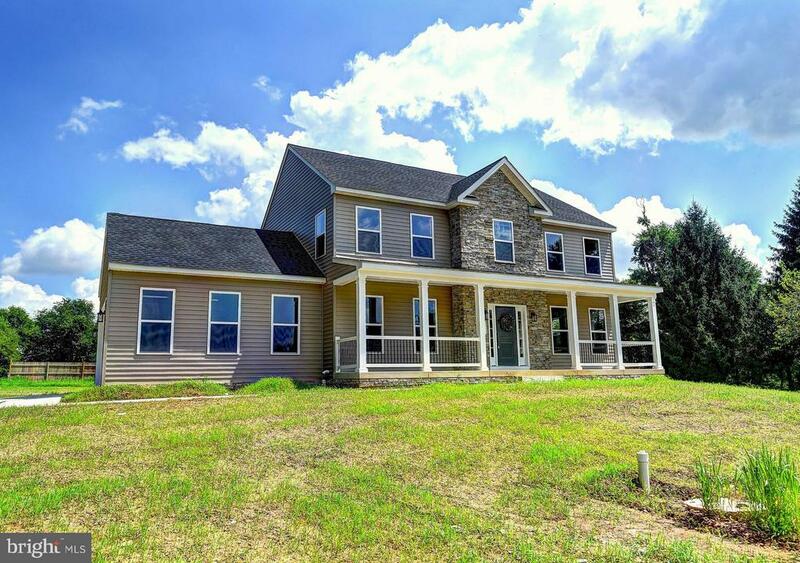 "Stunning stone front home on 2.21 Acres. Wide plank hardwoods throughout the main level. Huge family rm with stunning stacked stone fireplace opens to kitchen & morning room. Perfect floor plan for everyday living and entertaining. Breakfast bar in the sun drenched morning rm, Island in kitchen. Chic gray cabinetry-gorgeous granite counters and stainless steel appliances. Upper level offers luxurious owners' suite with cathedral ceiling, walk-in closet and spa bath. 3 Additional generously sized bedrooms & laundry complete the upper level. There is nothing like new!" "Welcome to the Quaint Rural Area of Norrisville and Welcome to Your New Home! Situated on 2.26 Areas this Move-In Ready Rancher Features ~ 3 Bedrooms ~ 2 Full Bathrooms -- Hardwood Floors ~ Formal Living Room with a Gas Fireplace ~ Formal Dining Room ~ Spacious Eat-In Kitchen with a Breakfast Bar, Stainless Steel Appliances and a Spacious Pantry ~ Master Suite with Private Bath ~ Family Room Leads to a Spacious Deck with Pastor Views ~ Anderson Windows -- Partially Finished Lower Level is Just waiting for Your Finishing Touch ~ Property is Priced to Sell As-Is ~ This Is A Must See!" "PENDING RELEASE. OWN A PIECE OF NORTHERN HARFORD COUNTY HISTORY, THE FORMER MCCOMAS STORE. 165 YEARS AGO THIS STORE WOULD HAVE BEEN THE HUB OF ACTIVITY FOR THE LOCAL RESIDENTS AND COMMUNITY. TODAY, IT HAS BEEN RENOVATED INTO A BEAUTIFUL HOME THAT INCLUDES THE LUXURIES AND AMENITIES OF A MODERN RESIDENCE, WHILE MAINTAINING THE HISTORY AND CHARM OF A BYGONE TIME. BEYOND THE HISTORIC HOME AND BARN, THIS DIVERSE ACREAGE OFFERS A LITTLE BIT OF EVERYTHING. THERE IS OPEN LAWN AND FIELDS FOR RECREATION, A GRAVEL PARKING PAD AND A FIRE PIT, A HIKING PATH THROUGH THE SECLUDED WOODS AND ALONG AN UNNAMED TRIBUTARY OF FALLING BRANCH, THE FIELDSTONE FOUNDATION OF WHAT MAY HAVE BEEN AN OLD CREAMERY, AND THE REMAINS OF THE SPRINGHOUSE THAT SUPPLIED FRESHWATER TO THE HOME IN EARLIER ERAS. 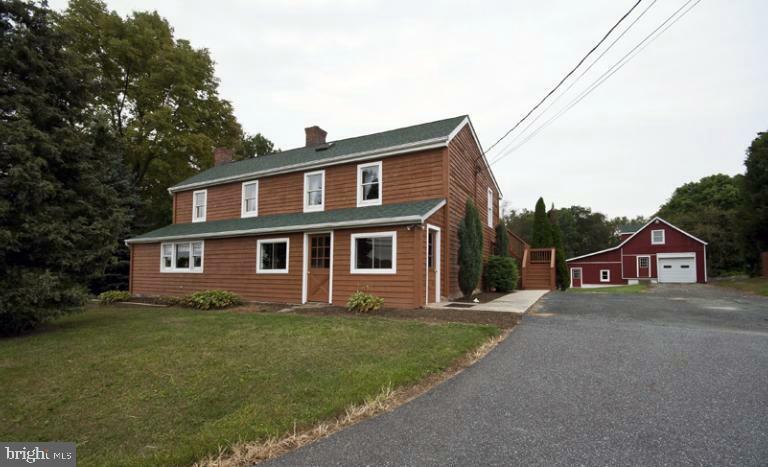 THIS HISTORIC PROPERTY IS LISTED ON BOTH THE 1858 AND 1878 MAPS OF HARFORD COUNTY AND IS DEPICTED WITH PHOTOS AND STORIES IN SEVERAL BOOKS, INCLUDING THE HISTORY OF PYLESVILLE AND OLD COUNTRY STORES OF HARFORD COUNTY. THOUGH NOT BOUND BY REGULATORY RESTRICTIONS OR CONTROLS, THIS HOUSE APPEARS ON THE MARYLAND INVENTORY OF HISTORIC PROPERTIES AS THE SMITH-MCCOMAS FARM HOUSE."